Venezuela Crisis Causes Tension Between Russia And U.S. The Venezuela crisis has been in the public eye for quite a while now. The rise of Nicolas Maduro to the presidency of the South American country has been rife with accusations of fraud, corruption and violence. Food and water shortages, along with major power outages have been experienced all over the once thriving country and it has now reached a fever pitch as residents cry out for relief. President Nicolas Maduro has deep roots in the political machine that runs the nation of Venezuela. Prior to the current Venezuela crisis he has been very active in politics. According to CNN, Maduro worked as a body guard for President Jose Vincent Rangel in 1983, when he was just 21 years of age. In 1992 he campaigned for the release of Hugo Chavez who had been imprisoned for the attempted coup that was intended to overthrow President Carlos Andres Perez. Seven years later Maduro was elected to the National Constituent Assembly, followed by being elected to the National Assembly just one year after that. His career as a politician really took off after his 2005 appointment as Speaker of the National Assembly. From that point, he steadily increased his political clout and strengthened his ties to Chavez and other leaders. In 2012 Chavez appointed Maduro to serve as his Vice President, later naming him as his approved successor should he die of cancer. In March of 2013 Maduro was sworn in as interim President following Chavez’ death and the roots of the Venezuela crisis began to take hold. In April of 2013 Maduro wins the presidential election by less than 2 percentage points. Angry protesters cried foul and claimed there was a large amount of fraud taking place. In 2013 he expelled 3 American diplomats from the country, followed by a short-lived revocation of CNN journalist’s credentials. By 2016 the country was beginning to sink into chaos, and Maduro declared a constitutional emergency. The release of years of data previously hidden from the public sparks the visible signs of the Venezuela crisis, as food shortages and power outages rock the country. In 2018 Maduro is re-elected by a landslide victory, in spite of the total voter turnout being less than 50%. Again the people accused the regime of fraud and his opponent announces publicly that he does not accept the results as official. US Secretary of State Mike Pompeo called the 2018 election a sham. 14 Latin American nations called their ambassadors home from the capital city of Caracas, stating they would begin minimizing their trade with the regime. An apparent assassination attempt, aimed at Maduro, fails in August of 2018, and the Venezuela crisis continues to worsen. September brings more troubled times for the country, as reports surface that an attempted coup is being discussed by US powers and leaders in the Venezuelan military. The coup never takes place, as the US drops its support of the action following the reports. Maduro took to the press, calling the Venezuela crisis a “fabrication,” and stating that conditions were improving in the country. However, tensions continued to rise. 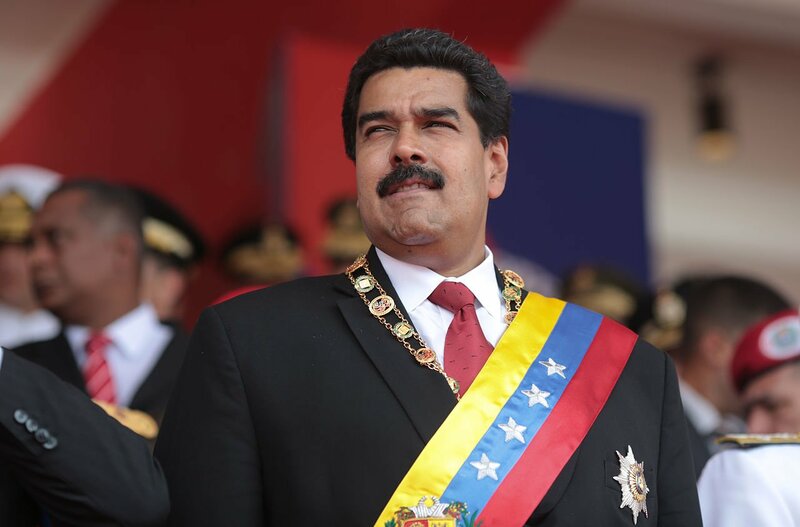 In January of 2019 Nicolas Maduro began another 6 year stint as president, bringing the population to a frenzy. Maracaibo, Venezuela was hit with a huge power outage according to The Guardian, and the scene was similar to a horror movie. Reports of mass looting by mobs wielding axes, sledgehammers and rocks have surfaced. Maria Villalobos is a 35 year old journalist in the city, and she described the scene as one of “horror, fear, despair.” She wept as she recounted the story of what locals call “la locura,” or “the madness.” This takes place on March 10 of 2019, 3 days after a power outage that turned most of the nation into pitch black. Villalobos said she believed it was “the start of a civil war.” News of the Venezuela crisis has reached every corner of the globe, and the effects it is having on the population are devastating. SFGate reports that Maduro has ordered that schools be closed following the massive power outages on Monday. His claim is that political opponents sabotaged the system, but that everything was back online. However, Caracas lost power again that evening. Juan Guiado, who is recognized by more than 60 countries as the rightful President of Venezuela, says that the people no longer believe Maduro’s excuses and they have had enough of the illegitimate regime. ARYNews reports that during a phone conversation on Monday, US Secretary of State warned his Russian counterpart that the U.S. would not stand by as Russia antagonizes the Venezuela crisis. This conversation took place following news that Russia had sent 2 aircraft carrying 35 tons of equipment and approximately 100 soldiers to the main airport in Caracas. ValueWalk recently reported that Russia had moved gold from a bank in Caracas to Moscow for safekeeping, although Russia denies this report. General Vasily Tonkoshkurov is reported to be among the troops in Caracas. He is the commander of Russia’s Mobilization Directorate for their armed forces, which means this could be a long term operation for the foreign troops in Venezuela. Russia accused the U.S. of violating the U.N charter by causing “interference in the internal affairs of a sovereign state.” Both Russia and China have given billions of dollars in foreign aid to Maduro’s government, which has increased the momentum of the Venezuela crisis. President Donald Trump has warned the Venezuelan government that actions will be taken to help relieve the situation. While it wasn’t spoken in direct words, the president’s intent seemed to point towards possible military force. Maduro responded by claiming that the U.S. had used frozen Venezuelan bank accounts to fund the assassination attempt on the dictator in 2018. He claimed that the U.S. was working with Colombian President Ivan Duque. The Venezuela crisis has reached a level that demands world attention. No doubt action will be taken soon to relieve the suffering of the nation’s starving population.